Bondi beach is a hub of activity throughout the entire year. 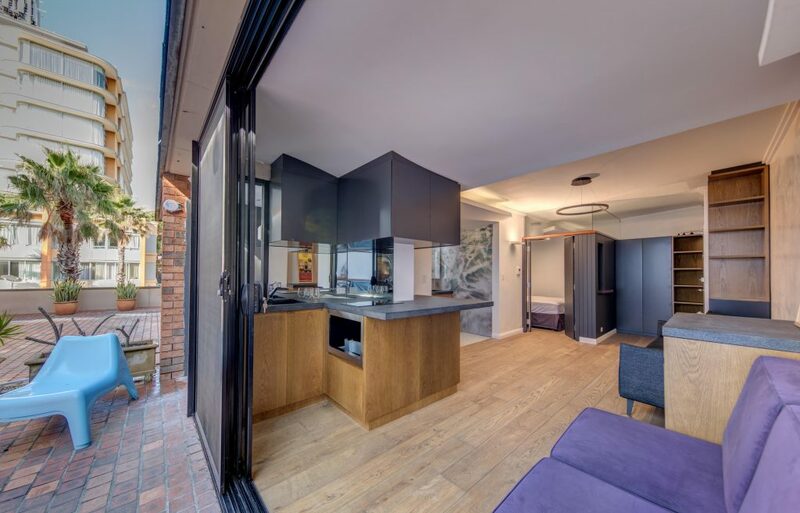 Famous for its pristine sands and clear water, Roth has pulled the key aspects of what makes Bondi so favourable and inserted it right into the main living spaces of this small but enjoyable apartment. With the brief of creating a functional and space conscious apartment, Roth has finessed the perfect combination of private and personal areas will keeping the entirely cohesive. 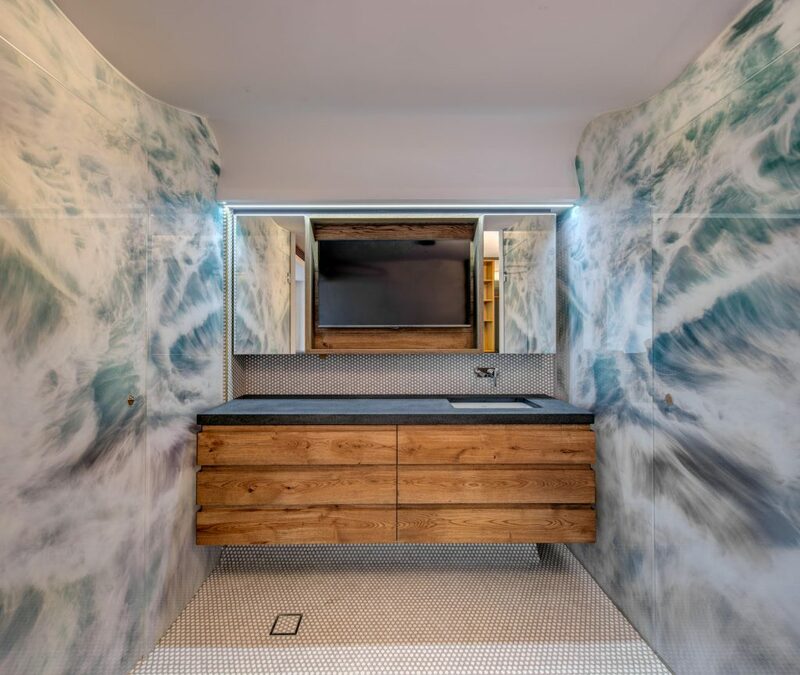 Playing with the traditional use of traditional rooms, Roth has created a concoction of multiple functions as seen in the integration of the lounge room and the bathroom. Expansive walls of thick glass block the most intimate places, acting as a separation and as a pop of colour and a piece of artwork. 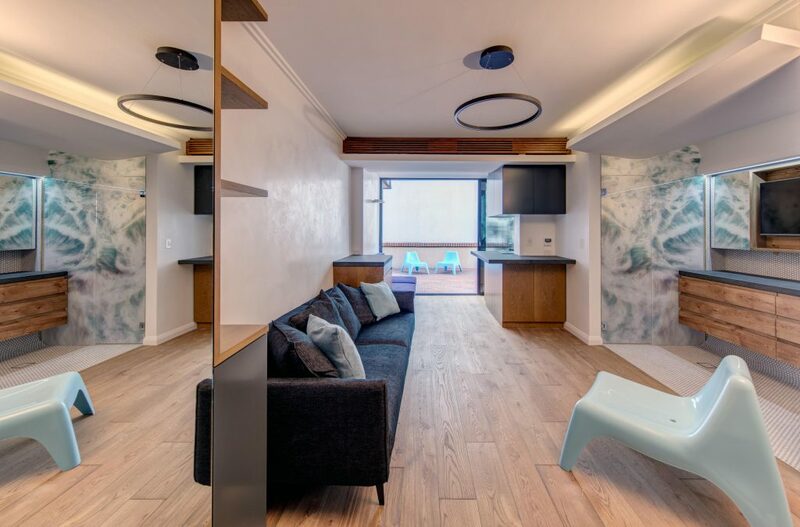 Through these clever techniques and integrations of traditional room uses, this Bondi apartment is a living situation of the future, perfect for travellers and the increasingly popular Air BnB.